Cycling Active March 2013 issue is on sale soon, and packed with the usual great mix of bike tests, product reviews, health & fitness advice, places to ride and much, much more. There’s no doubting that you get a lot of bike for your money these days. It’s a recurring theme in Cycling Active but pedal-powered machines really are becoming increasingly good value. We take a ride on two sub-£500 bikes to put the theory to the test. If you’re a new or aspiring cyclist then you’re probably on a steep learning curve – we answer 31 of the most commonly asked questions to allay your anxieties. Plus we round up seven of the best turbo trainers and training DVDs; search out the best British cycling holidays; explain why riding on the drops could help you; and give you heaps of tips on how to get yourself in great shape going into 2013. 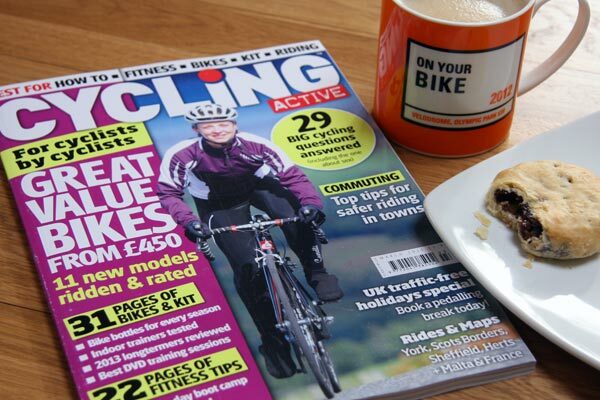 Cycling Active March 2013 is available at WHSmith, major supermarkets and all good newsagents priced £3.99. Road bike test: Two great options for £500 – get in!